Why is gluten bad for you? Studies show gluten side effects may raise your risk of memory loss, dementia, and Alzheimer’s disease. Think that morning bagel or pasta dinner is no big deal? Think again. 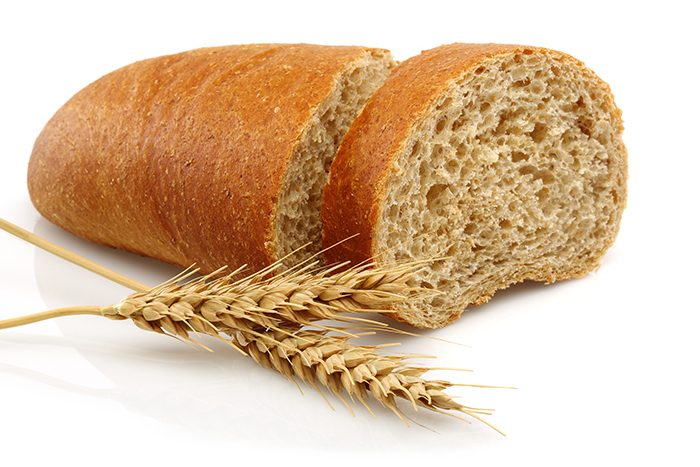 Wheat contains gluten, which may be dangerous even to those that don’t have Celiac disease or a gluten sensitivity. But why is gluten bad for you? Studies show eating gluten can cause brain disorders that could ultimately raise your risk of memory loss, dementia symptoms, and Alzheimer’s. With the rates of Celiac disease having more than quadrupled in the last 30 years, and with gluten intolerance now affecting an estimated 10 percent of the population, a gluten-free diet is an important consideration when it comes to brain health. Many people think gluten intolerance or celiac disease means suffering from digestive complaints. The truth is only a minority of people with gluten intolerance or celiac disease complain of digestive issues or pain, and some have no symptoms whatsoever. Nevertheless, for those with undiagnosed gluten intolerance, gluten can silently wreak havoc in the brain for years or decades before symptoms, including loss of memory and cognition, begin to manifest. Although studies showing a direct connection between gluten intolerance are scant, some insight exists. In a 2006 study of 13 patients with progressive mental decline who also tested positive for celiac disease, three (23 percent) showed improvement or stabilization of dementia symptoms on a gluten-free diet. Also, 10 had ataxia, a neurological condition characterized by lack of balance, an extremely common symptom of gluten intolerance. Gluten ataxia is an autoimmune condition in which gluten side effects cause the immune system to attack and damage the cerebellum. Another study showed that the same type of the transglutaminase enzyme involved in the development of celiac disease is also involved in the development of Alzheimer’s and Parkinson’s disease, further suggesting a relationship. Although little research has been done directly linking gluten intolerance with dementia symptoms and Alzheimer’s, gluten’s effects on neurology in general are more established. Gluten side effects can profoundly affect the brain and nervous system, and has been shown to present as an exclusively neurological disease in many people. In one study, researchers linked gluten to neurological problems, including ADHD, in 51 percent of children with gluten sensitivity. Other studies show gluten can trigger both inflammation and autoimmune attacks in the brain, both of which damage and destroy brain tissue and cause such symptoms as brain fog, autism spectrum disorders, learning disabilities, and loss of memory and cognition. Also, even if gluten causes inflammation elsewhere in the body, this is still bad news for the brain. Chronic inflammation in the body elevates levels of inflammatory compounds in the bloodstream, which brings these compounds to the brain where they can increase inflammation. Due to highly developed communication between the brain and the digestive system, the brain’s own inflammatory system responds to inflammation in the gut. So even if a person’s symptoms of gluten intolerance are primarily digestive, the constant communication between the gut and brain relays these inflammatory signals to the brain, where they can promote neurodegeneration and hence raise the risk of dementia symptoms. If symptoms of memory loss or dementia become an issue, a gluten-free diet and other dietary strategies can’t hurt, and it’s potential for helping is statistically relevant. However, it’s even better to prevent memory loss and reduce your risk of Alzheimer’s by finding out whether you have an immune response to gluten. Tests commonly performed in doctor’s offices have a low accuracy rate. The best test is to remove gluten from your diet for at least a month and see how you feel (although some people take as long as nine months to notice benefit because gluten’s effects on the immune system are long-lasting). However, Cyrex Labs and EnteroLab are two labs that perform more sensitive testing for gluten intolerance. And with EnteroLab, no doctor’s order or prescription is necessary. With so many reasons to cut gluten from your diet, it’s worth giving it a try. The first step to learn what foods have gluten. Here is an excellent resource on identifying gluten-containing and gluten-free foods. Once you know what you’re looking for, clean out the pantry and get rid of anything that contains gluten. (You might be surprised by where it’s hiding!) Then stock up on some of the wonderful alternatives (whole-food alternatives, not processed gluten-free foods). Be sure to come back and share your experience with gluten free side effects in the comments section below. Can you have celiac disease if you don’t have diarrhea? By Jane Anderson, About.com Guide. Updated December 20, 2011. Cognitive Impairment and Celiac Disease. Arch Neurol. 2006;63(10):1440-1446. doi:10.1001/archneur.63.10.1440. Transglutaminase-catalyzed post-translational modifications of proteins in the nervous system and their possible involvement in neurodegenerative diseases. CNS Neurol Disord Drug Targets. 2008 Oct;7(4):370-5. Range of Neurologic Disorders in Patients With Celiac Disease. Pediatrics 2004;113;1672.
a gluten free diet, adhd, allergy, allergy symptoms, alzheimer, autism, bowel syndrome, brain, brain health, celiac, celiac disease, children, chronic inflammation, cognitive impairment, dementia, dementia symptoms, depression, diarrhea, diet, diet for osteoporosis, digestive, Digestive Issues, food, for osteoporosis, gluten, gluten allergy, gluten allergy symptoms, gluten and dementia, Gluten and Depression, gluten free, gluten free diet, gluten free foods, gluten intolerance, gluten sensitivity, gluten side effects, health, health concerns, immune system, inflammation, intolerance gluten, irritable bowel, irritable bowel syndrome, is gluten bad for you, loss of memory, memory, memory loss, osteoporosis, pain, parkinson s disease, prevent memory loss, side effects, studies show, symptom of gluten intolerance, symptoms of gluten intolerance, symptoms of memory loss, what foods have gluten, whole food, why is gluten bad. I think this is absolutely true. I recently went gluten-free and have dramatically decreased my intake of ALL carbs (20-50 a day) and the difference is substantial. Memory is better, stress is less, focus is (slowly) getting better. I don’t know what processed foods did to use in the past decade but it’s not good! The article makes some overly-broad generalizations about studies, suggesting that the results apply to the general population when the study groups are comprised only of patients with confirmed gluten sensitivity or celiac disease. (example: “….study of 13 patients with progressive mental decline who also tested positive for celiac disease, three…showed improvement…on a gluten-free diet.” ) Science has not demonstrated that gluten is bad for everyone, and science does not support the premise of this article as applied to the general population. Even oats without wheat contamination should be avoided. Recent research shows some gluten intolerant people, like me, react to the form of gluten in clean oats. After all oats, wheat, barley, and rye are related grains. Very helpful messages in todayś readings. Thank you!